– In 2011, MSLO entered into a partnership with JC Penney to sell Martha-branded items in dedicated spaces inside JC Penney stores, essentially creating a Martha Stewart “store within a store” in JC Penney stores nationwide. 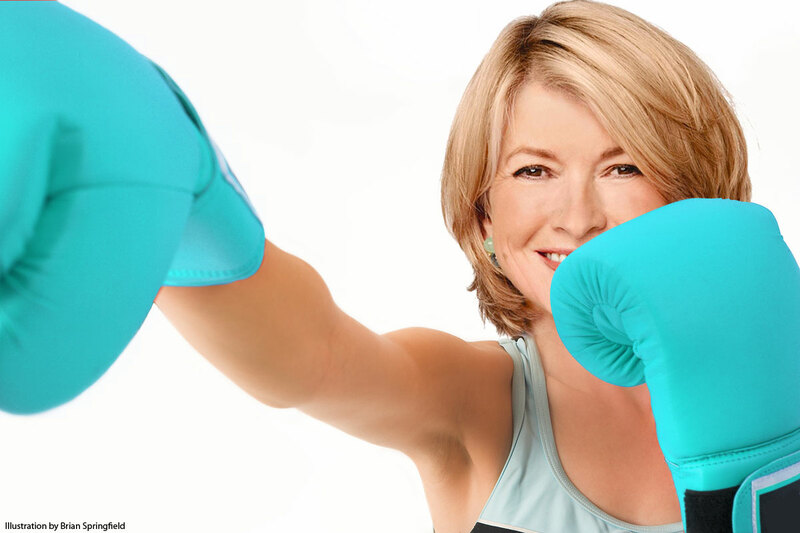 – In 2012, Macy’s sued both MSLO and JC Penney, claiming that the partnership was a breach of Macy’s exclusive right to sell Martha Stewart branded items in the specific product categories. Initially, Macy’s asked the judge to order MSLO to cease any collaborative efforts with JC Penney until after the issue was resolved at trial. However, the judge did not allow Macy’s request. Today, Martha appeared in court and testified for four hours. She said that she believed her agreement with JC Penney was structured to be in compliance with the MSLO-Macy’s agreement. She also claimed that Macy’s had breached the contract by not maximizing sales of the Martha Stewart Collection at its stores. 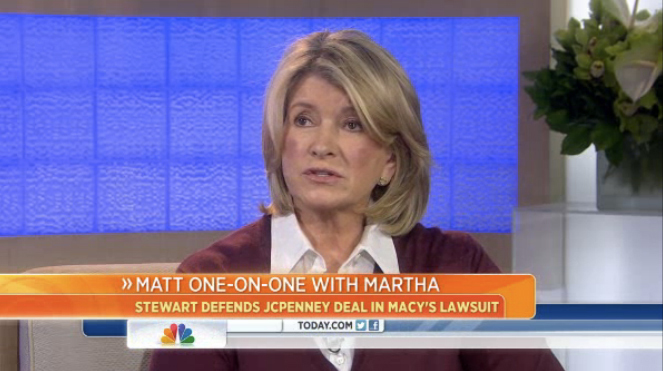 Martha claimed that she wanted to open Martha “store within a store” concept in Macy’s, but they were cool to the idea. The biggest opportunities for Martha Stewart Living are in selling products for the home, including bedding, bath and kitchen merchandise. That’s because as the housing recovery gains momentum in the economic recovery, people likely will put more money into their homes.